Tag Archive | "Rev. Dennis Morrow"
Rosemarie “Rosie” T. Patin of Sand Lake, age 76, passed away Monday, June 2, 2014. Rosie was born to Walter and Josephine (née Mikulenas) Tursky on March 5, 1938 at her home in Grand Rapids on Front Street where the expressway now passes through. Her father was a shipping supervisor at Haskelite and her mother was a homemaker. There were four children in her family. She graduated from Catholic Central High School in 1955 and went to work in the office at Michigan Plating and Stamping. While attending a Catholic young adult dance she met John Patin. He was a hard working man who had purchased a farm in Ensley Center in 1949. Their first date was in August of 1958 and on November 21, 1959 at St. Mary’s Catholic Church in Grand Rapids they married. John had been a farmer all his life and frankly was a work enthusiast. But that did not deter Rosie, although having grown up in the city she joined right in, farming alongside John, working right along with him every day. 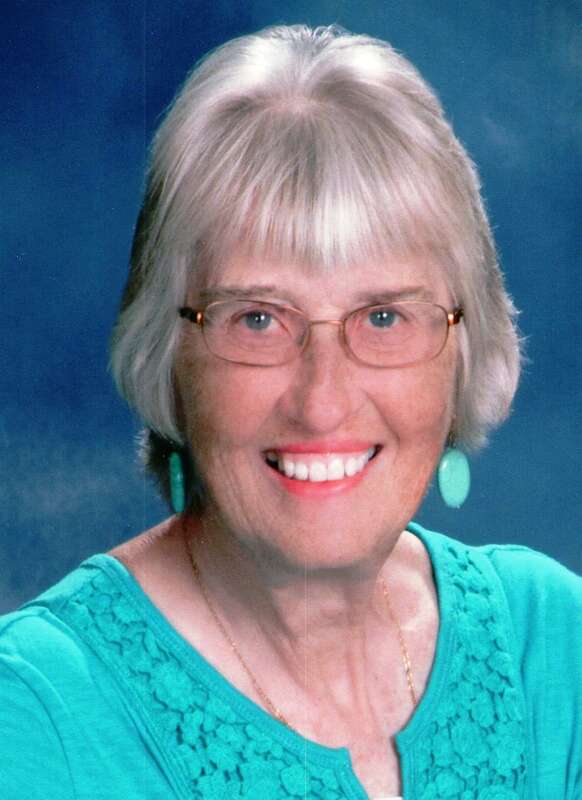 Always an active member in the community she was involved in the Newaygo Farm Bureau, was secretary for the Ensley Township Farm Bureau, and secretary for the Ensley Grange for some time. One can only imagine the changes she witnessed in farming and how many long hard hours she worked, enjoying the fruits….or rather vegetables, of their labor along the way. Faith and Family however were her top priorities. Sunday breakfast at their home was always a treat, as she was an amazing cook. Her whole life was devoted to her Catholic faith. She was a member of Mary Queen of the Apostles Catholic Church where she was a member of the Ladies Guild, a Liturgist, a Sacristan and a Eucharistic Minister. Rosie was also a professed member of Mary Queen of Apostles Secular Franciscan Order. Rosie’s living example of grace and faithfulness will live on in her many family members and friends. She is preceded in death by her loving husband, John A. Patin; her parents, her brothers, Walter George Tursky and Bernard Tursky, in laws Philip and Mary Patin, brother in laws Alphonso Patin, Joseph Patin and Henry Kalman, sister in laws, Ruth Patin, Mary Louise Patin, Patricia Patin. She is survived by her sister, Mrs. Marian R. Morrow, and her in-laws, Mrs. Charlotte Turskey, Sr Mary Philip OSF, Margaret Kalman, Fred and Mary Lynn Patin, Sr Mary Phyllis OSF, Peter and Carole Patin, Anthony Patin, Donna and Jack Dunaven and many beloved nieces and nephews. There will be a time of visitation from 2:00 pm to 4:00 pm and 6:00 pm to 8:00 pm on Thursday, June 5, 2014 at Pederson Funeral Home, 127 N. Monroe Street NE, Rockford, MI 49341. There will be a Praying of the Rosary at 8:00 pm following the visitation. A Mass of Christian Burial take place at 11:00 am on Friday, June 6, 2014 at Mary Queen of Apostles Church, 1 W. Maple Street, Sand Lake, MI 49343; Rev. Lam T. Le and Rev. Dennis Morrow will be presiding. Interment will be at St. Mary’s Catholic Cemetery in Sand Lake. Those wishing to offer expressions of sympathy are encouraged to make a memorial contribution to: St. Jude Children’s Research Hospital, 262 Danny Thomas Place, Memphis, TN 38105.